Prairie Hills Transit policy is that no person shall on the grounds of race, color, gender, religion, national origin, age or disability, according to be excluded from participation in, be denied the benefits of, or be subjected to discrimination in any operation of PHT as provided by the provisions in Title VI of the Civil Rights Act of 1964, Section 504 of the Rehabilitation Act of1973 and other civil rights statutes. Any person who has questions concerning this policy or who believes he or she has been discriminated against should contact the Director at 605-642-6668. 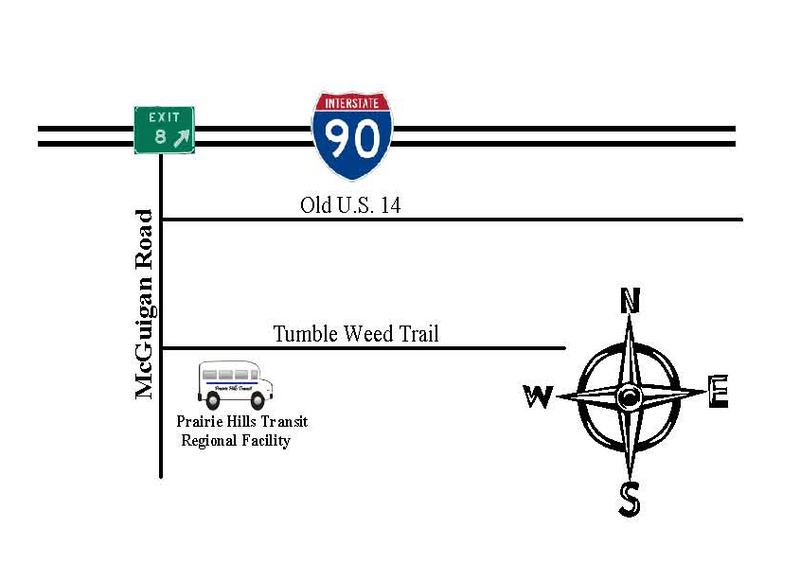 If you would like to send a formal complaint, please click on the form below and submit online or by mail to 2015 Tumble Weed Trail, SD 57783. * Or stop by our office located south off I-90 exit 8. Rides must be scheduled at least one business day in advance. We may not be able to accommodate same-day requests, so please plan ahead.